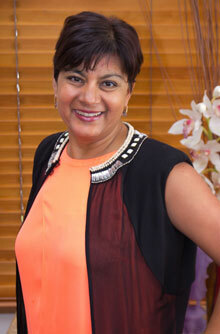 Genevieve Dharamaraj is a family chiropractor who has a passionate interest in Paediatric Chiropractic and in particular the technique NEUROIMPULSE PROTOCOL (NIP) by Dr Neil Davis. NeuroImpulse Protocol was specifically designed for paediatrics and is very gentle. Newborns can have their first adjustment as soon as a few hours after their birth. Gen graduated from Macquarie University in 1993 after completing an intensive three year science degree majoring in Anatomy, as well as a further two years completing the Masters of Chiropractic. In 2014 she graduated from the University of Wales, U.K. with a Masters of Chiropractic Paediatrics. Research undertaken in the Master’s degree focused on children with learning disabilities looking at brain wave patterns. At Cannon Hill Family Chiropractic Centre, we are proud to have the Neuroinfiniti technology that allows brain activity to be measured. Retained Primitive Reflexes is another part of the puzzle for learning that is assessed. 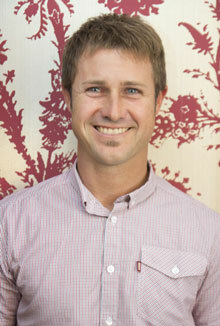 Cary Gilbert is a chiropractor who has a driving focus in neurologically based chiropractic care for the whole family. After completing a three year Bachelor of Science majoring in anatomy, then a Masters of Chiropractic in 2002 at Macquarie University, he began his journey helping professional surfers compete at their best, and in the development of elite Australian junior surfers. In 2011 I began my next amazing journey of learning right here at Cannon Hill Family Chiropractic Centre. Hannah travelled overseas to attend university, graduating from the New Zealand College of Chiropractic after five years of study. 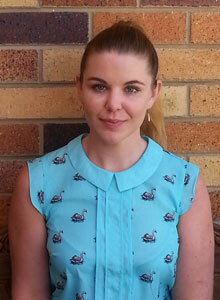 She returned home to sunny Queensland in 2013 and joined the amazing team at Cannon Hill Family Chiropractic Centre. Hannah’s chiropractic journey began merely days after entering the world, having been under regular chiropractic care her entire life. Her passion lies in whole family care, as people in all stages of life deserve an optimally functioning nervous system, free of interference. Hannah is drawn to the natural approach to health that chiropractic provides and believes NeuroImpulse Protocol (NIP) to be an ideal avenue to examine the brain/body connection. In her spare time she loves to cook for friends and family or read a great novel. Hannah enjoys being part of the local community and meeting new people who are looking to make a conscious decision to be proactive about their health. If you would like to find out more about chiropractic care please contact our Cannon Hill office.